The summer holidays are over. Whether we can call the post-breeding and pre-moult migration of tawaki a holiday is another question. Judging from the distances that the birds cover in the two to three months after their chicks have hatched, there is a fair amount of effort involved in their journey. 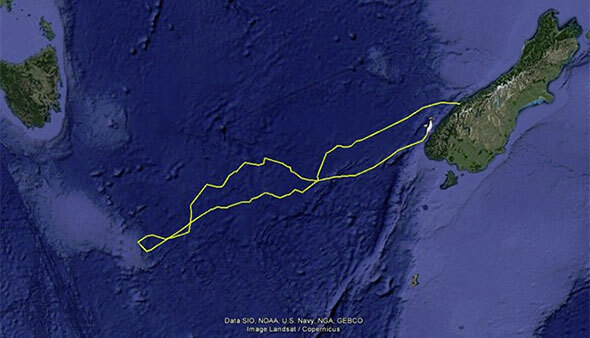 Back in mid-November we deployed satellite tags on 20 tawaki from Gorge River. Since then more than 3,000 locations were transmitted through the Argos system satellites. While some of the tags stopped submitting halfway through the birds’ journeys – most likely because the penguins managed to preen them off their backs – we still have a number of birds that are actively transmitting. And one of them, a female tawaki, is close to home. Another 250km and she is back where she started 82 days ago. She travelled 3,830 km and distanced herself 1,370 km from her nest site in Gorge River. So the last few kilometres are peanuts. The amazing thing, however, is that this journey was just the prelude to the winter migration which the bird will go on after the moult in February. That, however, we will not be able to track as the tracker will fall off once the bird starts shedding its feathers. 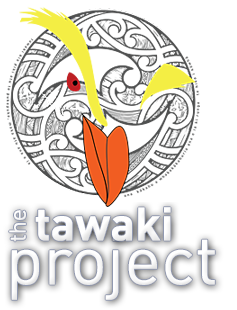 Good thing the Tawaki Project has another two years to go.